Now that the 2014 event is creeping ever closer with more meetings, events, camp planning and the like; it’s time for the third and final post on 2013’s Burn. 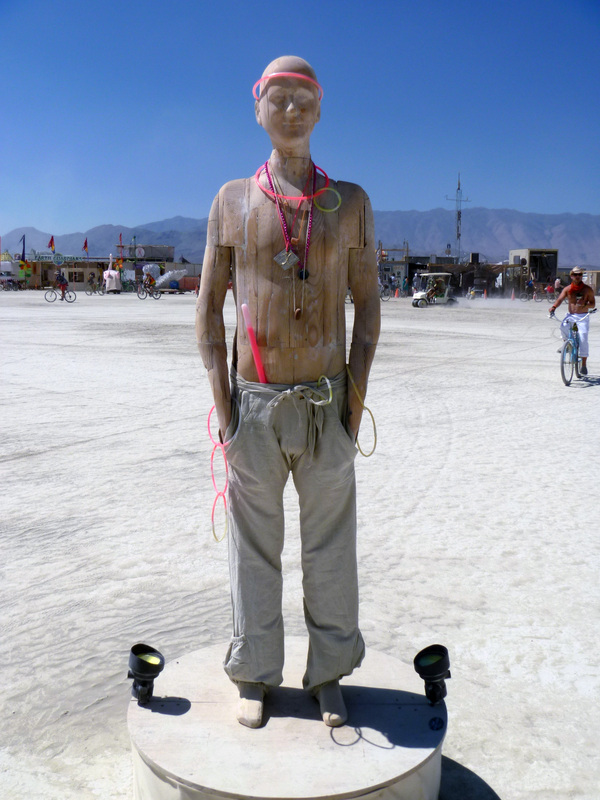 Here’s a look at my honorarium art project “Matahari Riset.” Made possible with a grant from Burning Man, and the help and patience of my partner and many dear friends. Thanks to Additive Workshop and Figure Plant for the generous use of their fabrication facilities. It didn’t take long for him to go native. If you happened to get your picture taken with him please do let me know; I’d love to see them! Take a look at all of the 2014 Honorarium Art Installations!